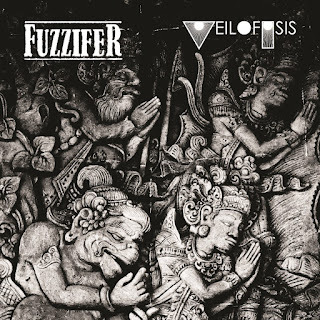 Fuzzifer / Veil of Isis - S/T split 12"
"Lepus Infernalis" by Fuzzifer on side A is slow, doomy, harsh and crushingly heavy track with tons of ultra distorted bass, drums and weird, experimental analogue synth sounds. The "vocals" are growled in the black metal style and also very manipulated. At times the piece cools down for a bit and you can hear more melodies, but mostly it's just simple doom metal styled riffing and ear-splitting noise for over eleven minutes. I have not heard anything else quite like this and I got to say its pretty scary and impressive! The Veil of Isis track has a slow, quieter beginning but don't let that fool you. This one also turns into experimental noise feast even though the slow drum beat stays in the background. In the end it's all peaceful again. 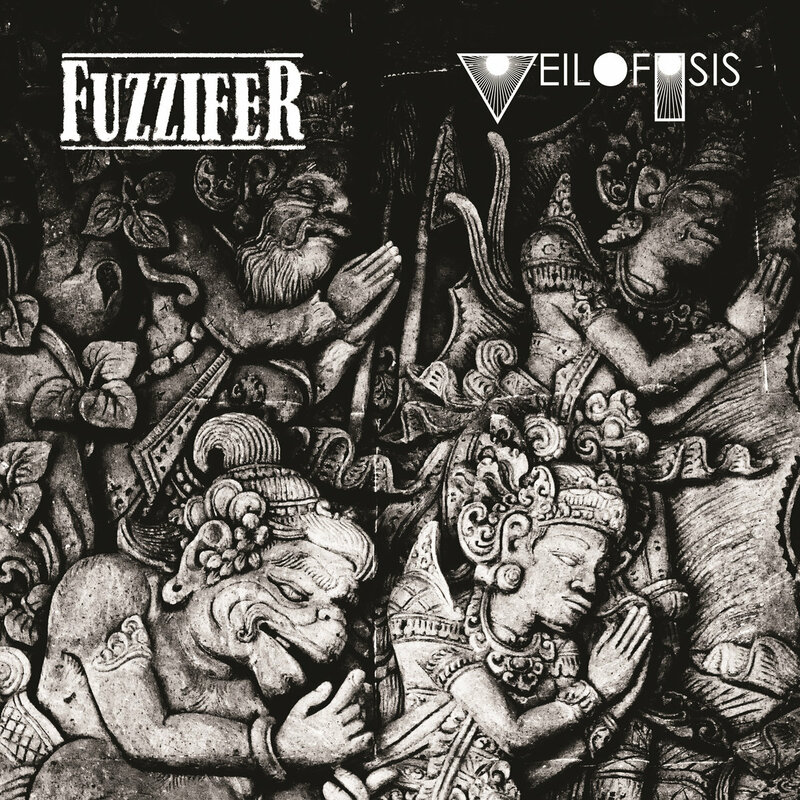 The digital download also includes five joint jams featuring both bands as Fuzzy Veil of Isifer and these are actually rather enjoyable! 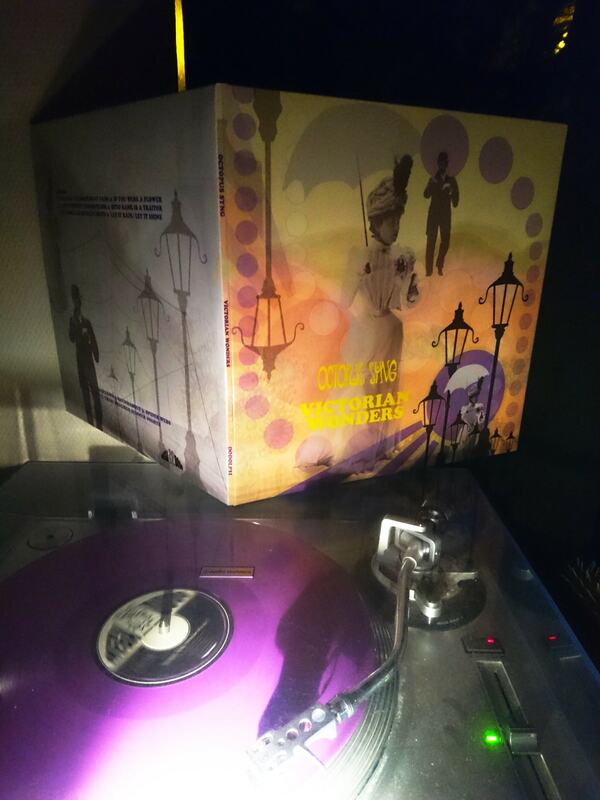 "The Outsourced Executive Agents of the Black Arts" in particular is very tasty, although chaotic and noisy psych jam. "Starship Satan" is a darker affair and very heavy as well. This will fry your brains! The hilariously named "Sniffing Glue From Various Orifices at the Tar Pits of Sodom" continues along the same (left hand) path. "Flying Pillows of Seething Hatred" is an almost 15-minute, gloomy chaos-monger getting totally noisy by the end and "ICH LIKE IKE" very noisy black metal stuff. Phew! This music is definitely for the faint-hearted but if you are looking for extreme experimental dark noise doom, look no further. 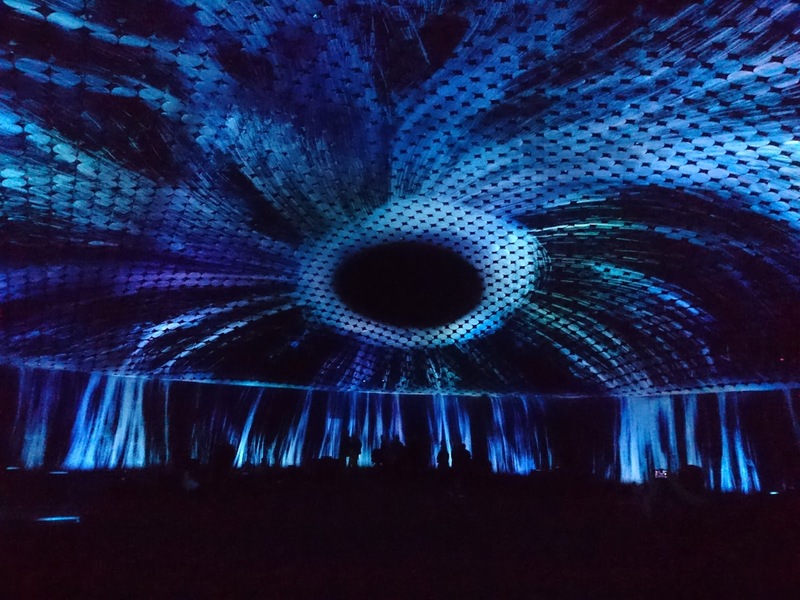 You can experience Fuzzifer live on the 14th ot November at Semifinal, Helsinki. Pavallion is a new progressive, slightly psychedelic modern post-rock band formed by four young guys from Krefeld, Germany. They released their debut album 2048 by themselves last year on vinyl (!). This is their second album (also on limited vinyl, yellow 150 / green 350 copies) and continues on the atmospheric, melancholic style already present in 2017. The tracks and production is better now, I must add. Using just guitars, bass, drums and great, soft, melodic and emotional vocals the band creates very nice, dreamy and cinematic musical states the listener can easily be hooked on. Stratospheria has just three tracks. The opener "Waves" is a beautiful, tranquil piece that caresses your soul with emotion and brilliance. Things get a bit heavier later on and I'm actually reminded of some of the stuff that Riverside does. I'd say Pavallion is definitely closer to modern progressive rock than space/kraut/psych/stoner rock with their pretty melodies and emotional vibes. And nothing wrong with that, I enjoy this album very much! Just don't expect mind-melting psychedelia here. What a great opener, anyway. The very slow "Monolith" is a much darker piece and the shortest track on the album at 5:10. It only has low toned narration and no vocals and a pretty spooky vibe, phew! On the B-side we've got the over 24-minute title track "Stratospheria" and it's a real progressive post-rock masterpiece. Starting off very slowly and peacefully the track lures you into a dreamy slumber and when the beautiful vocals join in you are in awe. This works perfectly with headphones and your eyes closed. Wonderful journey! Around the 16-minute marker there is some hypnotic, heavier guitar stuff and then some more progressive, more intense parts that I enjoy very much. Towards the end they return to the beautiful stratospheres of the beginning, very nice. This is a must-have for all lovers of great, emotional progressive post-rock! 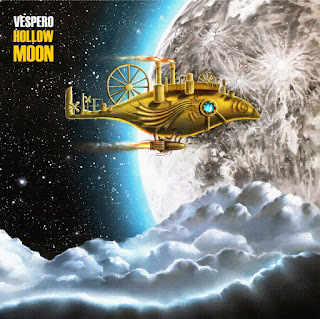 Vespero from Astrakhan is one of Russian's best bands ever. I've been a follower since I received their 2007 album Rito from R.A.I.G in 2007 and they have never let me down. Except that we still haven't been able to get them to play in Finland, but that's another story... The band has been pretty active and productive all their career putting out around one release a year since 2004. Their adventurous instrumental music has elements of prog/post/space/psych and krautrock, electronic and ambient music and lately even more jazz and also classical influences, so you never know where they are going and you won't get bored on the journey. Only some of their numerous albums have been released on vinyl which is a shame. For vinyl enthusiasts I would recommend their 2012 krautrock masterpiece Subkraut: U-Boats Willkommen Hierand their first Tonzonen LP, the trance-inducing Shum-Shir (2017). On Hollow Moon the band takes us on a fantastic trip to the moon. The album theme is inspired by a story The Man in the Moone by an early English sci-fi writer, historian and bishop Francis Godwin (1562–1633). This voyage of utopian discovery is a perfect back-bone to Vespero's wonderful music. 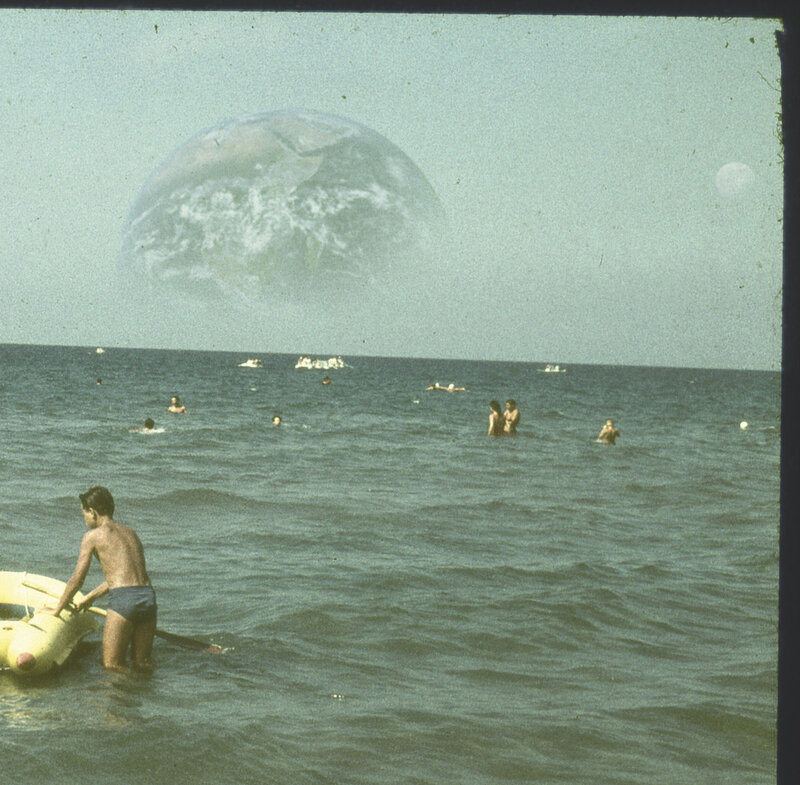 "Watching The Moon Rise" is a spacey, ambient intro. "Flight of the Lieutenant" is a fast and progressive piece that takes us to the moon. The violin and saxophone enhance the jazzy mood, but there's a lot of happening on this one. "Sublunarian" is a bit more laid-back and reminds me of some of the mid-seventies Jean-Luc Ponty albums. Definitely strong jazz-fusion vibes here, but with a modern touch and sound. "Moon-Trovants" is a cool progressive space rock track and one of my favorites. I really like this one! On "Mare Ingenii" the band cools down for three minutes and "Feast of Selenites" is an eleven-minute psychedelic, jazzy space trip that makes you feel dizzy in the head. Wow! "Watershed Point" offers two minutes of tranquil ambience and on "Tardigrada's Milk" the band goes into symphonic post-rock territories with some world/folk music vibes stacked in towards the end. All in a progressive way, of course. One of the highlights is "Space Clipper`s Wreckage", a progressive and psychy track with cool lead guitar/violin work, weird rhythms and spacey synthesizers. The playing skills of these guys are just amazing. The album is finished with the symphonic outro "Watching the Earth Rise" and you are in awe by now for sure. What a wondrous journey this has been! Make yourself a favor and check out this magnificent album released today. Available on limited vinyl and CD. Okay, what we have here is a solo album by the drummer of heavy psych band Cosmic Fall from Berlin, Germany. Daniel Sax plays all the instruments (electric guitar, bass drums) by himself and offers six honest, heavy, instrumental stoner rock jams without any extra gimmicks. 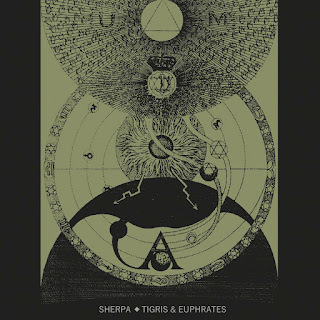 So you'll just get distorted fuzz guitar, bass and drums jamming on and on in a stoned, trippy manner which is great. Daniel can definitely also play the stringed instruments, although his solos might not reach the Earthless quality. He can put down some killer stoner psych acid fest stuff, don't get me wrong! The tracks vary in length from 3:11 of the final track"Desert Sun" to the album's almost ten-minute highlight "Liquid Sand". You can hear some old school heavy psych influences (Hendrix, MC5 and especially Blue Cheer) on some of the tracks as well as some Kyuss and desert rock in general. All in all, this is a very enjoyable album for all fans of heavy, groovy jamming. 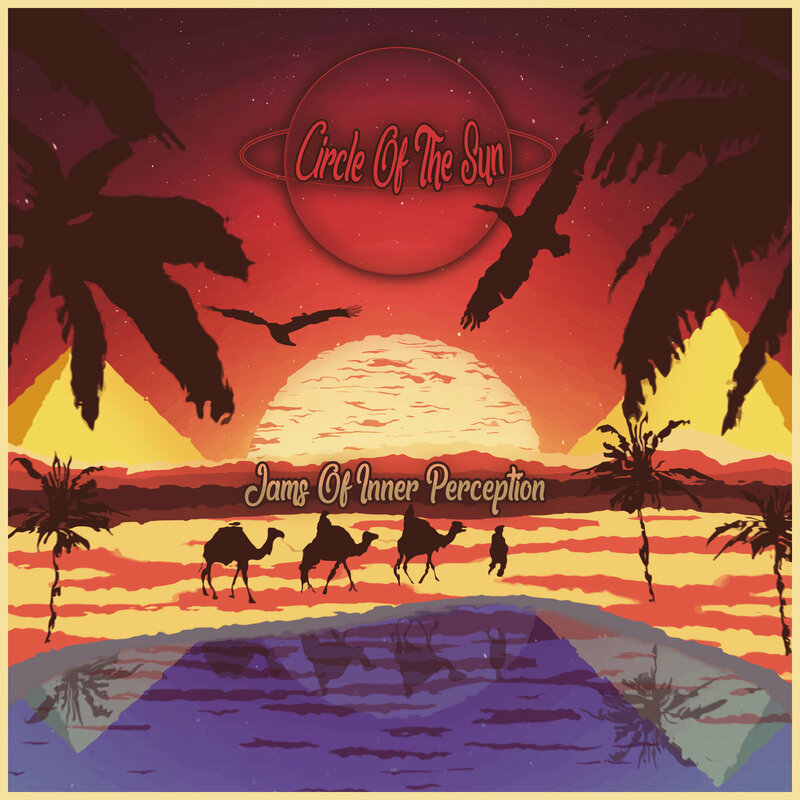 At the moment Jams of Inner Perception is only available on a limited CD and a digital download, but there are plans to also fill the vinyl freaks' need for brain-frying rock jams soon! Edit: the vinyl version is now available on the amazing Clostridium Records as two different, limited editions! Astral Visions Mixcloud Show #82 now online! The next release on the now legendary Fruits de Mer Records will be this massive, amazing 3LP collection of cool cover songs of psych rock classics from 1966 to 1968! Just wow, I'm really overwhelmed with all the juicy treats within. In addition to the familiar, highly talented Fruits de Mer artists like The Past Tense, Jack Ellister, Anton Barbeau, The Luck Of Eden Hall, The Honey Pot, Magic Bus, Sidewalk Society and Jay Tausig there are also several newcomers to the scene. Since its beginning ten years ago, Fruits de Mer has been a great quide to new psych acts for me, and I'm really glad that this time they bring forth marvellus bands and artists like LoveyDove, Campbell Stokes Sunshine Recorder, Rob Gould, The Locker Room Cowboys, The Gold Needles and then some. Another reason that Fruits de Mer releases are so interesting and enjoyable is that in addition to the most-loved and well-known psych/prog/kraut/space/folk classics they also put out new renditions of rare nuggets of the first psychedelic era! So, in addition to The Rolling Stones, Love, The Attack, The Byrds, West Coast Pop Art Experimental Band etc. I heard for the first time about some acts that I really must investigate further. There's so much stuff from the 60s you just don't know about yet or have already forgotten, wonderful! There are 27 tracks altogether and they all sound awesome. Really, there are no fillers, only killers included. The 60s psych afficiendos will love the fact that three original artists of the era are also featured. The Electric Prunes perform a cover of Love's "7 and 7 Is", The Yardbirds are presented by a 2016 live version of their own "Think About It" and the album is finished with a 2010 live version of "Loneliest Person" by The Pretty Things. Excellent! There is enough variety in style and vision and some new versions are pretty different to the originals making the whole album an interesting journey. Closer to two hours are gone in a heady haze that is very entertaining and enjoyable. The triple album is a bit late due to manufacturing problems but should be available soon enough. Like usual, those who pre-order The Three Seasons along with the other imminent release (Kris Gietkowski's new LP) from the label (U.K.) or Heyday Mailorder (non-U.K.) in time will also receive a free bonus disc, this time a cool exclusive compilation CD Sideshows by The Seashore. Another reason to love Fruits de Mer! 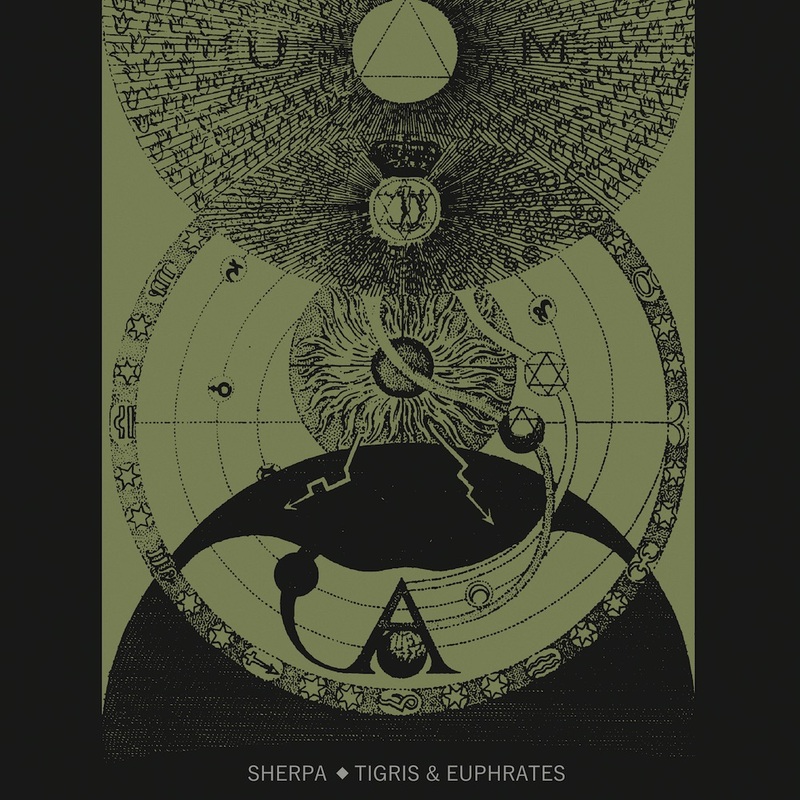 Tigris & Euphrates is the second album by Italian band Sherpa. Their debut album Tanzlinde was released two years ago also on Sulatron and you can find my review over here. Personally I don't find the band's music that psychedelic or mind-expanding, but they often have a very pleasant, emotional and beautiful vibe. This new album is even more atmospheric and tranquil than the first and is well-suited for dreamy Autumnal and Wintry moods. The opener "Kim (((o)))" sets the mode for the album. It is still one of the most intense and powerful tracks on it, but still works best with your eyes closed. I really like the vocals and guitars and the hypnotic vibe when the track slowly builds up towards the end a bit like post-rock usually does. "Creatures From Ur" is a very slow, peaceful and soft piece that gently makes you float, and "Equiseto" continues in similar paths. Also "AbscentTo The Mother Language" on side B is beautiful, atmospheric and dreamy post-rock until it gets a bit heavier after the four-minute-marker. Apparently language and it's importance to the evolution of human kind is the main lyrical theme on the album. Rather interesting! The first half of "Overwhelmed (Def Version)" is a bit more experimental but also more mesmerizing and chilled-out than the rest of the album. The end part has more structure and beat and a nice, ethnic folk rock touch. The album is finished with the almost eight-minute "Descent Of Inanna To The Underworld" that is another slow, atmospheric masterpiece that also gets more intense and heavy. Maybe my favourite? This album is released on limited vinyl and CD so get it while you can!